In The Division 2, the story will be moving from snowy New York City to a blasted, post-disaster Washington D.C. It’s the home of American politics, and arguably one of the most important cities in all of the USA, and that’s where you’re taking the fight. You, and all other Division agents, have been called to save the city from falling to the enemy. 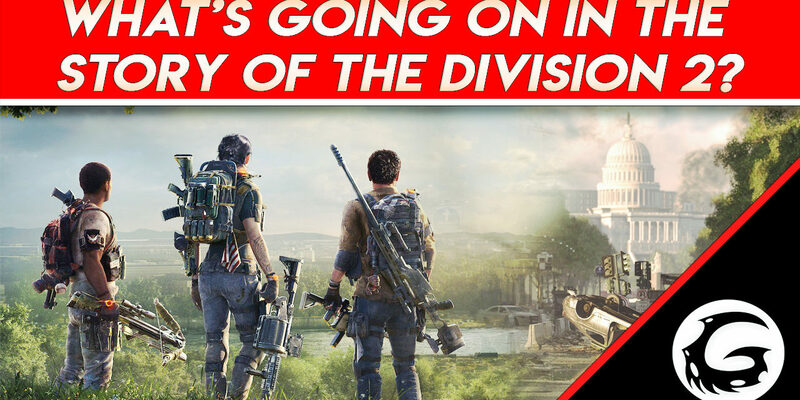 Today, we’ll be taking a look at the story of the Division 2 and what you can expect when the game launches March 15th. In the E3 trailer, we see that the snow has melted. In its place, new plants and shoots have grown. The world seems to be coming back to life, rebuilding itself. We see a happy ramshackle village, but the camera continues to pan and soon we are outside the walls of this safe haven. Beyond a fortified front defended by rifles, the streets are in ruin. Washington has fallen, not to terrorists or intrigue, but simply to the virus. 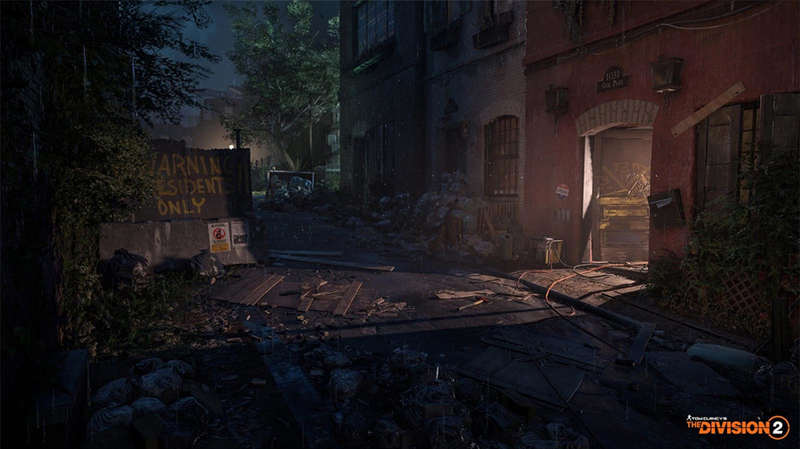 Streets are littered with debris, buildings have been looted to hollow husks. Inside, families who didn’t make it inside the village take shelter from marauding gangs. As we move across to the right, we see a downed agent, sinking into the filth between buildings. Society has completely collapsed, and it’s going to be up to us to save it. The Division 2 is about the survivors. Those inside and outside the fortified walls. In the first game, we explored the pandemic-infested New York, and desperately fought to stem the flow of the virus and build infrastructure back up. In The Division 2, Ubisoft is making an effort to create a world that feels much more alive. For sure, we’re going to be interacting with these civilians much like we did in the first game. But further on, we already know that certain checkpoints will be able to be captured and reinforced. These will grow into Strongholds, built by the player and NPCs. In time, they’ll offer us goods and services. Much like the safe-houses from the first game, these are effectively going to be us spreading our influence through the city, but with much more focus on player-driven progress. Not only that, but the city itself is going to feel much more alive. 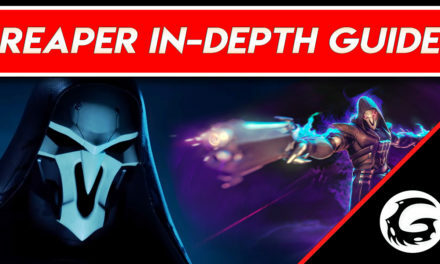 This includes revamped areas like the dark zone, which the developers have assured us has changed, taking into consideration the feedback of the last game, and becoming something much more engaging for the wider player-base. D.C., too, is going to be much more faithfully recreated than New York City was. In the first game, occasionally you might stumble across a landmark or recognize a street name, but the city felt relatively nondescript as you progressed deeper into the game. 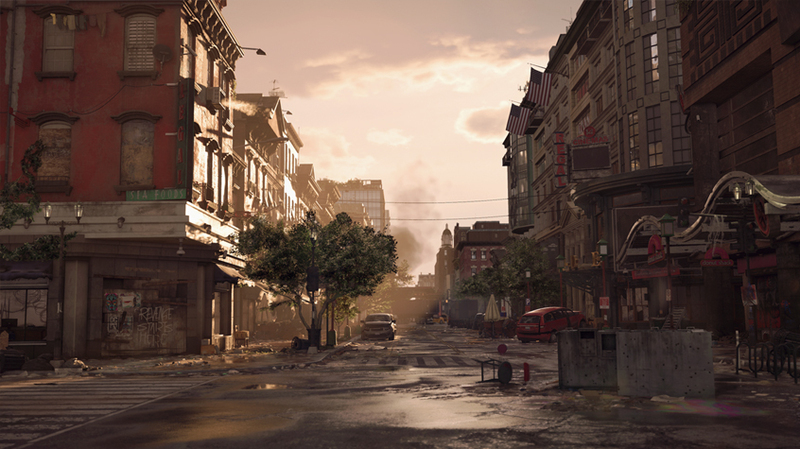 In The Division 2, the developers reported that they have faithfully recreated Washington D.C. to a 1:1 state, “making the game world more authentic than ever”. Now, the game’s map will offer up-close-and-personal views of landmarks, natural landscapes, neighborhoods, and enemy hideouts. These will be cleverly woven into a city that is instantly recognizable. It’s going to feel really special fighting over the monuments and landmarks. This is one of the most historically and politically rich cities in the entire country, and even players who’ve never been to D.C. will almost certainly recognize areas like the White House or Lincoln Memorial. The True Sons are an antagonistic faction in the Division 2, and just like the Cleaners and other factions in the first game, you’ll be struggling with them constantly for control over the city’s streets. They are a group of paramilitary warlords bent on using their combat expertise and overwhelming firepower to dominate their enemies and expand their territory. Smart and organized, the True Sons are led by a former JTF officer whose ruthlessness and combat prowess make him and his combatants a horrifying force. I think that this idea of betrayal is going to be a strong theme throughout the entire game. In one of the earliest trailers explaining the game’s direction change and moving to Washington, we see the words ‘Civil War’ flashed up at the end. We are then told that it’s going to be up to the Division agents to step in and make a difference. The Division 2 will continue the first game’s theme of treading the grey-area between right and wrong, for sure. But also, the second game seems to have a much more personal focus on the narrative side. Instead of fighting against the virus and the subsequent chaos, this time we’ll be tangling with opportunistic enemy forces looking to seize control at the heart of America. It’s going to be up to you to step in and influence the fight, and with an all-new leveling system and reworked endgame, there’s going to be so much to dig your teeth into. The Division 2 looks to be becoming one of the most compelling shooters of the generation, and if it improves on the final state of The Division 1, I’ve no doubt that it’s going to be an experience not to miss in 2019. Alright that’s it for today discussion on the Division 2’s narrative and story. I know for sure that it’s going to be really interesting seeing how the developers have laid out the struggle for Washington, and I can’t wait to get my hands on the game and start grinding for that sweet loot. Let me know below which part of the Division 2 you’re most excited about. 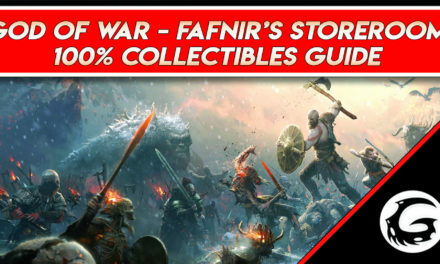 Don’t forget to subscribe for more weekly content, too. Next week, we’ll be discussing the end-game and what we can expect when finishing the main story. As always, the transcribed version of the video is available as an article over on our website by following the link below, where you’ll also be able to join our rapidly expanding Primal Discord Channel and meet the team. Thanks for stopping by, everyone, I’ll see you next time for more gaming guides and news.